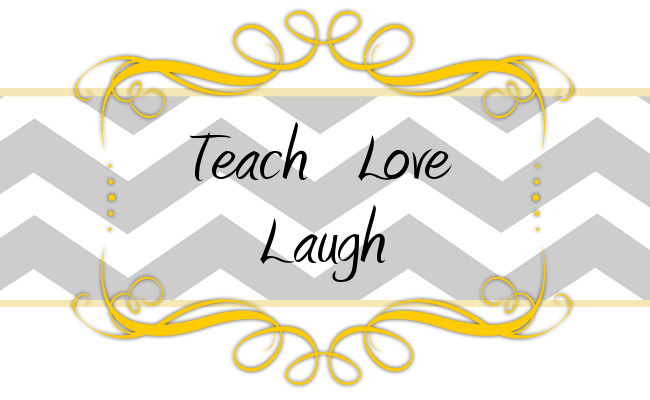 Teach Love Laugh: Hello All! We, Rebecca and Katie, would like to take a moment to introduce ourselves as we jump into this wonderful world of teachers that blog about all things that are innovative, creative, and engaging. What a fabulous community to join! We are both super excited to see where this takes us as we have been following so many wonderful teachers out there - we just had to contribute some of the cute and fun things that we do with our kiddos as well. This is my 5th year teaching. I have taught 4 years of first grade with a year of kindergarten squeezed in there. My undergrad is in Early Childhood Education with an ESL minor and I have a master’s of Elementary Education with a gifted and talented endorsement. I absolutely love my sweet firsties! When I’m not in the classroom, I love a good book, decorating, J. Crew (gotta love that teacher discount), and cupcakes. Katie and I are so thrilled to share a glimpse into our classrooms! I have been teaching first grade for 3 years, all next door to Rebecca (who could ask for a better teammate and neighbor?!?! ), and what a wonderful ride it has been so far. I am absolutely in love with my students and have found teaching to be one of the most fulfilling things I have done with my life! Like Rebecca, I have my Master's in Elementary Education with an emphasis in Gifted and Talented. When I am not at school, I am with my wonderful hubby and our two Border Collies Wyatt and Ollie. Life has been such a blessing and I am excited to see what happens next!